Back to the game show analogy, think of depersonalizing as studying the answers and questions before trying out for "Jeopardy." Your house is lovely for how you live in it, but buyers don’t want to see you in your house. In fact, the more your house makes it difficult to guess who lives there (age, religion, gender etc), the better. Take down personal photos, religious emblems, the cute collection of mini ceramic frogs, etc. Analyze your stuff for whether it’s morally, politically, or otherwise socially objectionable and remove all of it. You don’t want to eliminate buyers because they are turned off by your personal tastes. While you are depersonalizing it’s also a good time to declutter as the two go hand in hand. The more simple and understated your home is, the more likely buyers can see the home for what it is and imagine themselves in it. When you have too much stuff cluttering walls and counters and shelves, buyers turn their focus toward those things and sometimes even make the assumption in logic that if you are cluttery, then you are disorganized, which means maybe you don’t take care of the house as well or as on time as you should. A good rule of thumb is to box up or store at least half of the smaller items displayed in your home. For example, how much is on your kitchen counter right now? Now imagine reducing that number to just three things. What would you choose to keep versus store? Some sellers are benefited by going to other open houses in their area and looking at how other people have decluttered and arranged what is left. Online pictures, such as what is found on Pinterest, can help too. Often you can get some good ideas on what works visually just by seeing how others do it. When you are all done decluttering, clean your home like never before because buyers notice dirt and grime. Hire a maid serviceif you have to. The outside of your home is as important as the inside, especially the front entry area. 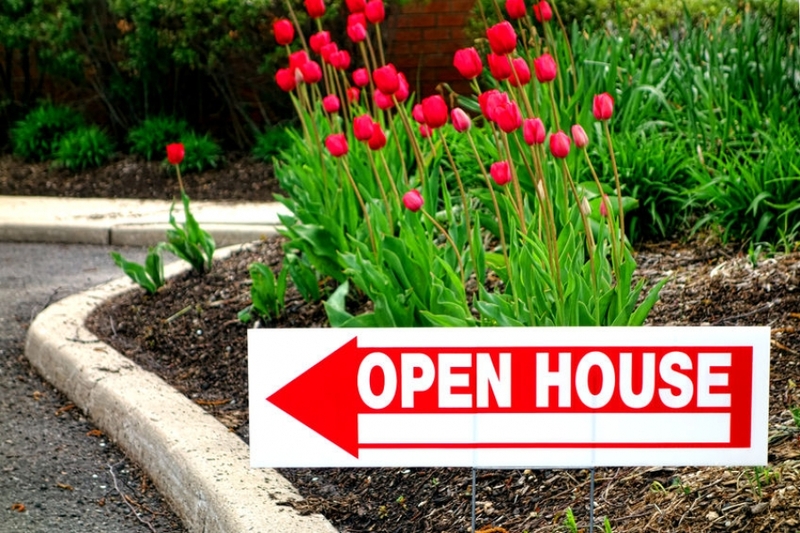 Before an open house, take care of simple yard maintenance such as mowing, edging and weeding flower beds. A fresh layer of mulch adds color especially in winter months when not much is blooming. At your front door, clean off spider webs, blown leaves, and place a large, colorful pot of annuals or anything you can buy in season. While you have the yard power tools out, dust of your workbench and take a walk around your house inside and out. Make a list of all maintenance issues such as wiggly door handles, missing fascia, paint that has chipped, etc. and repair them before the open house. Buyers see even the smallest of maintenance issues as an extension of the condition of larger items such as roofs, plumbing and major appliances and assume you haven’t taken care of the home. You might talk to your realtor about a pre-inspection to deal with all home maintenance and problems upfront, before you get into contract with a buyer. Once you have taken the above steps and you are ready for the actual open house, there’s one last thing to plan. Protecting your valuables and identity. It might be rare, but criminals do use open houses as a way to case a house or to find collateral to steal identities. Make sure indoor safes are locked and hidden. Store heirlooms, checkbooks, prescriptions, and valuable jewelry away from prying eyes. Utilize a reliable, trustworthy, identity theft protection service to see you through the entire listing and sales process.